Lynn Rae is a sports and remedial massage therapist and Pilates teacher with a special interest in the face, jaw, and postural realignment. She has more than thirty years’ experience working with the face and body, initially as a beauty therapist and later as a professional make-up artist with international clients from stage and screen. Her desire to work at a deeper level with the face and body led her to train with the London School of Sports Massage. From 2000 she has been working as a sport and remedial massage practitioner and as Pilates and Method Putkisto body and face instructor. 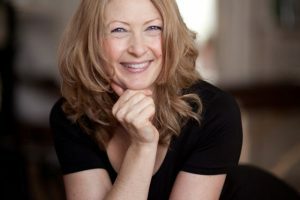 An ever-increasing fascination with the face, neck and jaw and their connection to posture has led to further specialised training in intra-oral massage. Who can Lynn Rae help with a massage and exercise programme? Through a highly-specialised form of facial therapy, including intra-oral massage, designed to reach and relax muscles of the face, neck and jaw, clients can experience the release of stress or posture-related pain and discomfort. The initial session provides instant relief for jaw and intra-oral muscles that have usually never been touched let alone gently massaged. This allows the jaw to open more freely and comfortably. The majority of patients will require a minimum of 3 sessions which are spaced 2-4 weeks apart. Please contact us on 020 7487 5221 if you would like to find out more or book an initial session with Lynn.